The company beat out Microsoft, Amazon, and Alphabet, the only three companies within striking distance according to NASDAQ rankings. Microsoft was formerly the frontrunner, having surpassed Apple in November. Microsoft closed Tuesday at $914.45 billion in market capitalization. The reason for Apple's resurgence in the short-term isn't clear, given analyst reaction to the "its show time" Apple News event, but analysts and investors appear to be regaining confidence in the wake of a disastrous December quarter which saw iPhone sales tumble 15 percent year-over-year. The company saw its worst performance in China, battered by a combination of lower-cost local phone brands, a weak economy, and its decision to once again hike entry-level iPhone prices, exacerbated by exchange rates. It has since adopted more aggressive sales tactics to compensate, cutting prices in some countries and extending extra trade-in credit. Some analysts are pinning their hopes on Apple's growing services business, which includes divisions like Apple Music, the App Store, and its upcoming Apple TV+ video service, coupled with the now-available Apple News+. While the services themselves may add a modest boost to profits, the real benefit is expected to be keeping people locked into the Apple ecosystem. People may be less likely to switch to Android, Windows, or Chrome OS if they're invested in Apple services, even if its March 25 products are available on outside platforms. 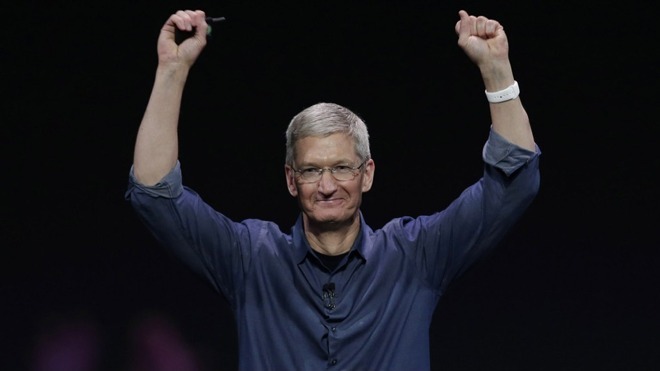 Apple will reveal its quarterly results on April 30.